Betsy from My Salvaged Treasures took some architectural trim pieces and created some wonderful display pieces for jewelry and photos - so cute and clever! How totally adorable is this Piggy Pork BBQ sign from Joan from Scavenger Chic! Last week you saw Danielle's beautiful new outdoor space. This week her talented husband takes over Finding Silver Pennies to give you all the details on how to make your own outdoor dining table! 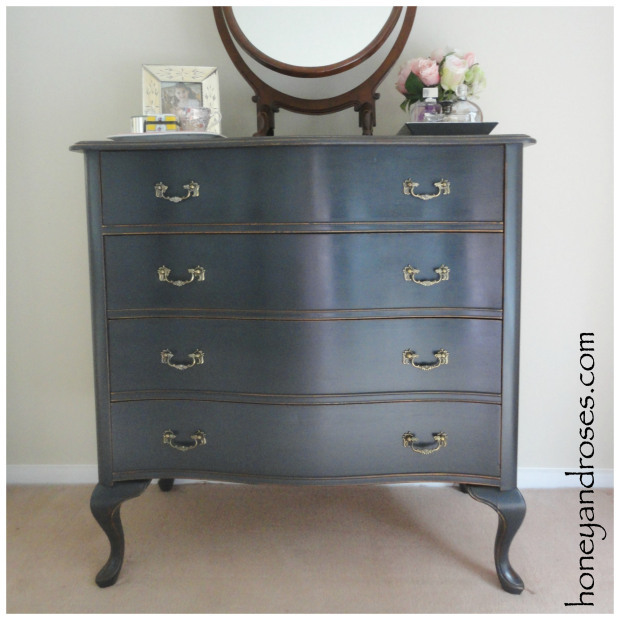 Jane from Honey & Roses gave this vintage chest of drawers a classic makeover with black paint and dark wax! Love this pretty blue desk/vanity from Victoria's Vintage Designs! 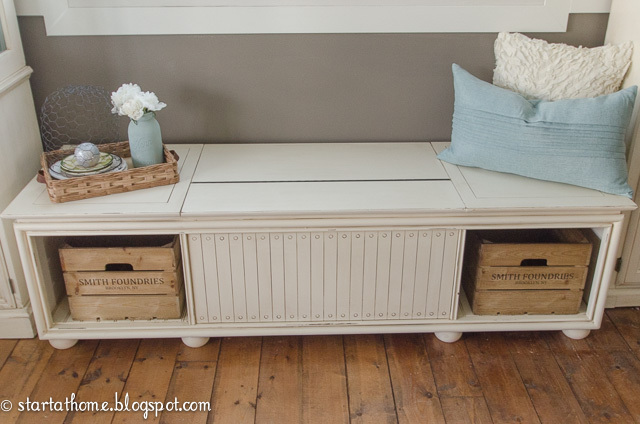 This retro record player turned shabby chic bench from Brooke at Start @ Home is simply gorgeous! 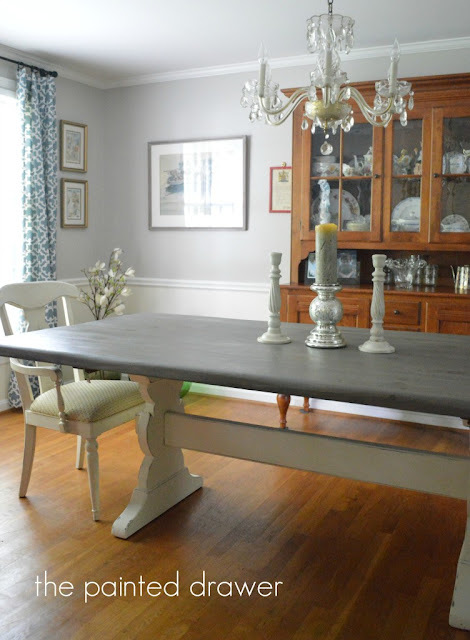 Paint totally transformed this vintage farmhouse table from Suzanne at The Painted Drawer! 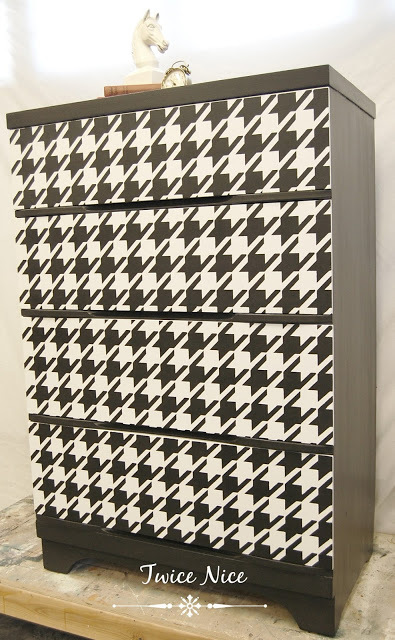 And check out the houndstooth design on this dresser from Deb at Twice Nice - wow! 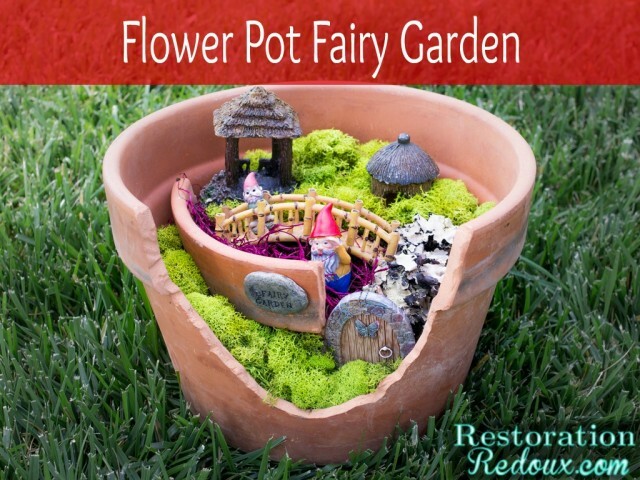 Shanna from Restoration Redoux shared this sweet flower pot fairy garden! 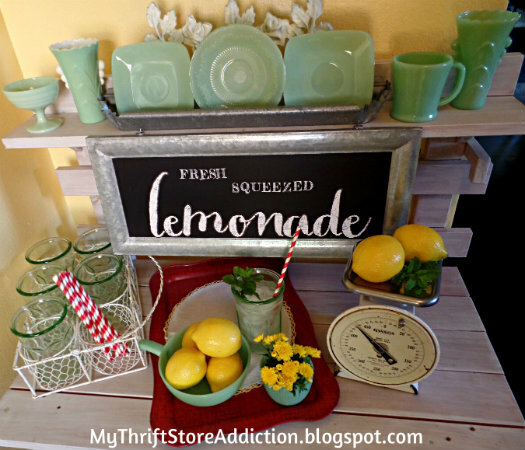 And Cecilia from My Thrift Store Addiction created a wonderful backdoor lemonade stand! And don't forget that you can share your garden and outdoor related projects here and all month long at our June Garden Party! 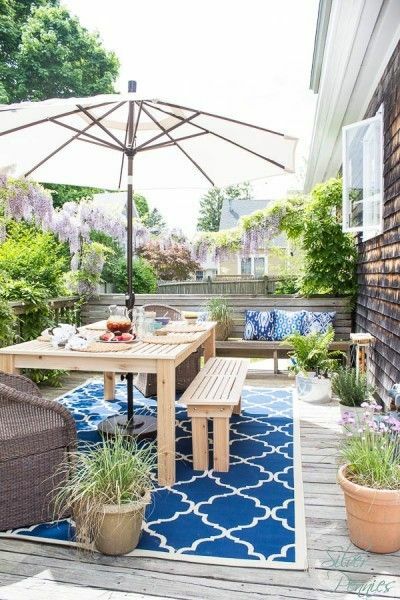 i just love danielle's outdoor space! Thank you so much for the party and featuring my piggy. He was a lot of fun to put together. Thanks so much for hosting another fun party, Sharon! Thank you Sharon for Be Inspired 167. Love visiting and joining in. Thank you Sharon! Love your parties, I always look forward to checking out all the links! 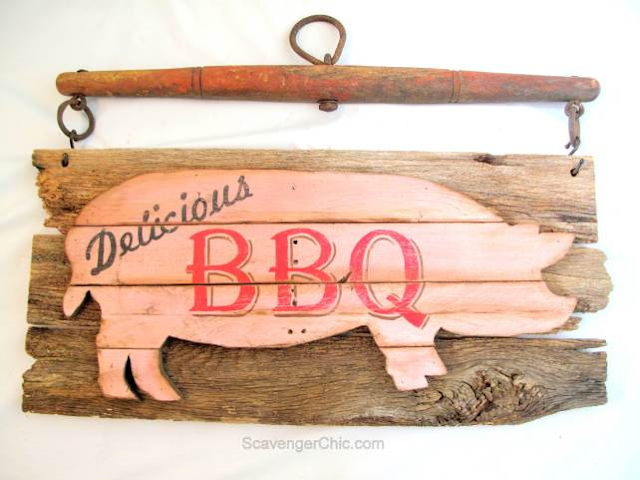 Sharon, I am flattered to be featured on your blog!! Thank you so much! Hi Sharon, thanks so much for another fun party AND for the feature! Have a wonderful week! Thanks so much for featuring my farmhouse table! I really appreciate it!